With enough storage to accommodate up to 300 cigars, the spacious interior & the distinct design of the Chancellor have made it a top choice of cigar aficionados. 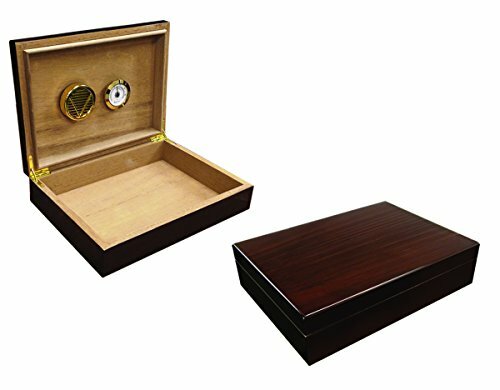 This humidor chest carries a rich and full high lacquer finish with a unique angled front facade decked with beveled glass, an oversized external hygrometer, and a gold lock and key set. It also features a stunning beveled glass top and an elegantly designed base which give the Chancellor an appearance that is unmatched. The Broadway humidor brings together a remarkably beautiful deep gloss burl wood finish coupled with a gorgeous inlay design on its lid. The rectangular inlay is a birds eye light mappa wood framed with a stunning authentic wood border. 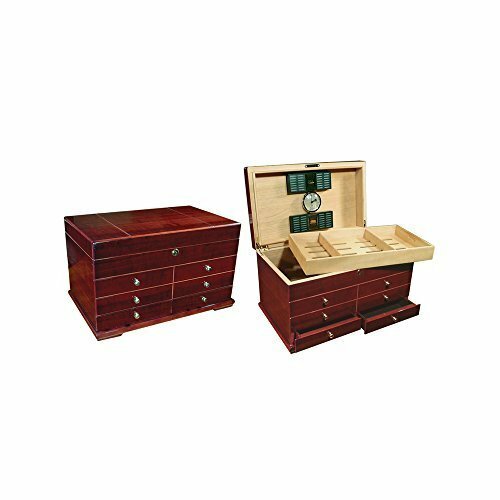 The New Yorker's arched lid tops off this humidor giving it a refined look and feel. The exterior is finished off with brass side handles and a brass lock and key set. The interior is spacious and can accommodate storage of up to 150 cigars. 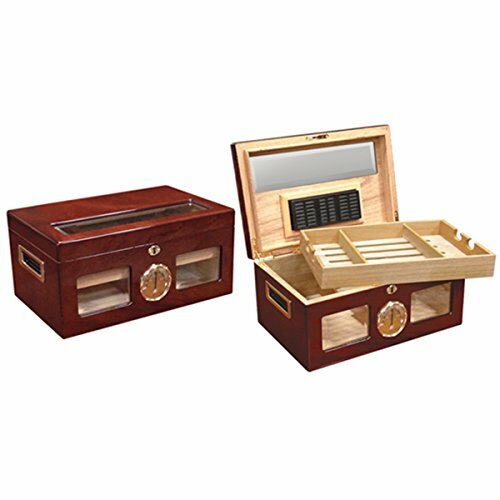 The upper section of the humidor is equipped with a spanish cedar removable tray with two adjustable cedar dividers. The lower section of the humidor allows for additional storage and carries an adjustable cedar divider as well. 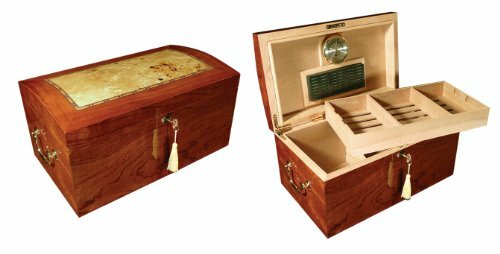 Includes brass internal locking hinges, 1 large hygrometer with 1 large oblong humidifier Give your cigars a touch of class! 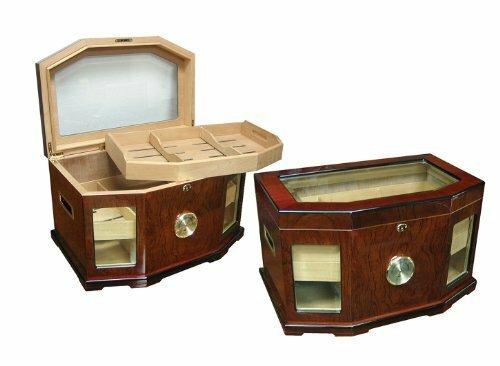 Cuban Culture Cigar Humidor is one of the most beatiful table top and desktop humidors that you will ever see. CUBAN CULTURA humidors bring the true culture of the Cuban cigar smoker to your home or office. It enhances any room. 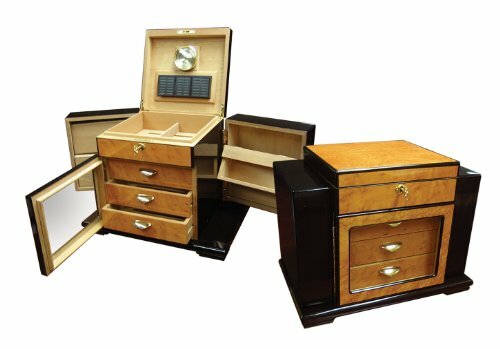 Features include a high gloss piano finish that is the result of an extraordinary 12 coats of lacquer, a finely crafted Rosewood Bubinga with Birdseye Maple Burl wood inlay exterior, a fine Spanish Cedar interior with a top tray and dividers, Gold plated quadrant piano hinges, lock and keys, an external Brass hygrometer, a humidifier and scratch resistant felt lined bottom. The humidor has a capacity of 100 cigars. Exterior Dimensions are 13 3/8 inches x 9 5/8 x 6 5/8.